Next general meeting on March 13th will be a memebership promotion night. Cost for non-members for the technical presentation and supper is only $10 - please invite a colleague to come out for the evening. ASHRAE Saskatoon Chapter is pleased to announce the offering of a “Fundamentals of Air System Design” course on April 10 and 11, 2018 in Saskatoon. · A recent engineering graduate working in the HVAC&R industry. · An experienced engineer who has entered the HVAC&R industry from another engineering field. · An architect, engineer, technician, or construction or building management professional who wants to increase your knowledge of air distribution systems. The course will be instructed by Ryan MacGillivray, who is one of the Senior ASHRAE Members and HVAC&R professionals in Canada. Ryan is the Secretary-Treasurer, and a Principal Engineer at the mechanical consulting firm Daniels-Wingerak Engineering Ltd., in Saskatoon. The attached brochure contains detailed information about the course topics, agenda, and registration. Registration for the course is open and can be made as mentioned in the attached registration form. If you have any questions, please contact Ahmed Abdel-Salam at ahmed.abdel-salam@usask.ca or 306.850.1527. Key to achieving Net-Zero Energy or Passive House: High Performance Building Envelopes course, Feb 18 in Saskatoon! This full-day seminar will provide an in-depth overview of new and innovative high-performance building enclosures that are being designed and constructed for buildings across North America, ranging from single-family homes to large commercial buildings, with a focus on walls, roofs, and window systems. The seminar will start with an introduction of the requirements and design principles for Passive House building enclosure assemblies and details. Next, new research will be presented on the evaluation of exterior insulation cladding supports and details to minimize thermal bridging, along with the tested real-world performance of various new air barrier materials and systems. Durable, highly insulated roof and roof deck assemblies will be covered along with a review of roofing material selection and problematic detailing. Finally, high-performance glazing systems will be discussed, along with information on the selection of efficient and durable glazing products and window assemblies meeting North American and European standards. Numerous case studies will be presented to demonstrate how new and innovative building enclosures have been integrated into various projects ranging from mid-rise wood frame buildings and prefabricated Passive House buildings, to towering wood, concrete, and steel structures. Understand building enclosure design fundamentals for high-performance and Passive House building enclosures, including the control of heat, air, water, and vapour. Become familiar with many different higher R-value wall and roof designs and the various material selection and detailing considerations for each. Understand and assess the merits of exterior insulation and alternate cladding attachment strategies for high R-value walls. See how different prefabricated steel, concrete, and wood wall systems have been incorporated into building enclosure designs. Recognize various different air barrier systems and materials, and understand how to detail different air barrier approaches. Be aware of the strategies and solutions for large building airtightness testing. Understand the technical properties for glass, insulating glazing units, and window frames for use in high-performance buildings. Recognizing the achievements of building pioneer Dr. Rob Dumont by celebrating superlative effort in progressing energy efficiency. In memory of the late Dr. Rob Dumont, a pioneer in efficient building practices, the Energy Management Task Force present the second annual Rob Dumont Energy Management Awards. Held on October 5th at the Western Development museum the awards seek to recognize leaders in the energy management world and showcase their efforts. Help us give energy efficiency leaders the accolades they deserve and catalyze a greener world! The local ASHRAE golf tournament will be held this year at Moon Lake Golf and Country Club on Friday, June 10th. Note that this year the green fees include a lunch so be sure to arrive in lots of time to enjoy lunch and a warm up. We have a shotgun start scheduled for 1:00pm. To ensure your spot, register online at the link below or forward a cheque as noted in the PDF registration form attached. An opportunity for Passive House and Net Zero builders and designers to network, tell tales and plan the next wave of low energy buildings in Saskatchewan. This will be held in the front room of the Congress Beer House, 215 2 Ave in Saskatoon. 5pm on May 19. This year, the Mechanical Contractors Association of Saskatchewan is hosting the CEC Estimating Conference. It is a 3 day conference from May 9-11, 2016, which focuses on Project Procurement and Strategies. The attending instructors are Jack Wilhelmi, Tim Wentz and Dan Leduc. The conference is being held at the Hampton Inn and Suites by Hilton on Airport Drive in Saskatoon. The conference size is limited to 30. Early bird discounts are applicable until April 15, 2016. Note that ASHRAE's Region XI (B.C. to Manitoba and a few states) Chapters Regional Conference (CRC) is in Saskatoon from May 12 to 14, 2016. The 2nd International Festival of Science, Technology, Engineering and Mathematics (STEMfest 2015) is being held in Saskatoon from September 28 to October 1, 2015. Events for students include Careers of the Future Day (for Grades 10-12 on Monday, September 28th) and Engagement with Schools Day (for Grades 3-9 on Tuesday, September 29th). There are several things taking place at STEMfest which may interest engineers so please note the following links to programs and speakers. All are at Prairieland Park between September 28th and October 1st 2015. This announcement has been posted to ASHRAE Saskatoon's website because promoting Science, Technology, Engineering, and Mathematics aligns with what ASHRAE does. 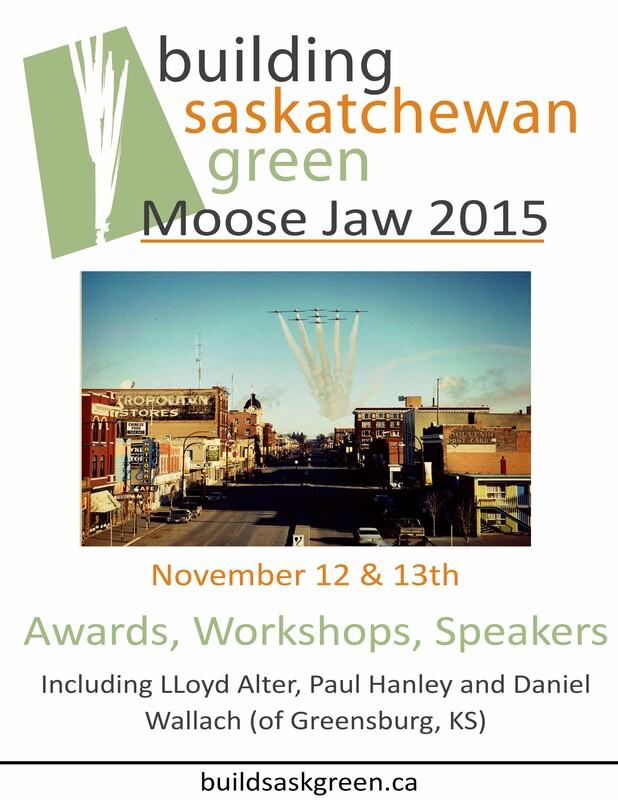 ASHRAE Saskatoon is not sponsoring this event or organizing it.